Indoor & Outdoor Soccer leagues for everyone! Ever dream of playing in the World Cup? Well we can help you with the next best thing. 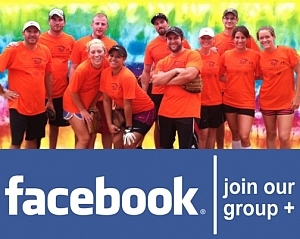 We offer coed & men's soccer leagues for all abilities, from first timers to competitive players. We offer a few different formats depending on your style, 11v11 and 6v6 soccer. 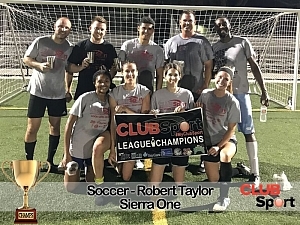 Whether you are new to soccer and looking to learn, or have played for years, we have a league for you. The season includes a regular schedule with everyone making a single elimination playoff at the end. Either submit a complete team or sign up on your own and we'll find a team for you. If you don't have a team, no problem! Depending on availability we can help find you a team. Just sign up online and guarantee your spot with a credit card. We won't charge your card unless we find a team for you! If you're not placed, no worries, you won't be charged and we'll hopefully have better luck next season. Individuals and small groups of friends not already part of a full team should note all of your friends in the "Players to be Teamed With" box during the sign-up process and we'll place you on the same team. Get your friends together and form a team today! Just go to the registration page, choose your league, and submit your team info. Guarantee your spot with your credit card and then request payments from your team with our Team Payer option. At the registration deadline your card will only be charged whatever balance is remaining. It's that easy!